ECOFILM PRO Professional Underfloor Heating Kits provide everything the professional installer needs to put radiant floor heating in place. ECOFILM PRO comes in 5m2,10m2, 15m2 and 20m2 kits and include all the tools for the professional installer. Simply cut the roll of 500mm wide ECOFILM into lengths and make the connections using the FREE crimp tool. The standard heat output of ECOFILM is 130 Watts/m2. 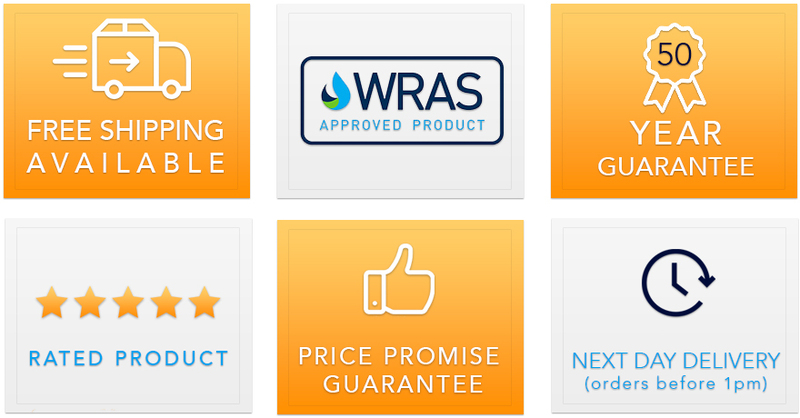 ECOFILM PRO is NOT designed for use in wet areas, such as bathrooms or shower rooms. When used in conjunction with ECOMAX-DUO, ECOFILMPRO is suitable for carpet and vinyl floors. 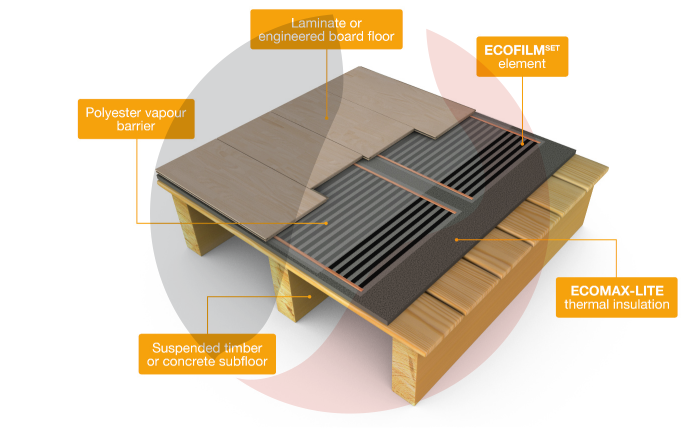 Before laying the ECOFILMPRO kit on either a suspended wooden floor or concrete sub-floor it is necessary to install a layer of ECOMAX-LITE Thermal Insulation. This will minimise heat losses and ensure quicker heat-up times for the floor. It will also act as a means of sound deadening which is required for laminate floors. Roll out the pre-cut lengths of ECOFILM radiant floor heating elements, taking care to locate the “cold tails” on the wall nearest the thermostat connection box. Trim to length as required and insulate trimmed ends as per instructions before taping the element into position. Always take care NOT to overlap the heating elements. Cover the total floor including non heated areas with a layer of Polyester Vapour Barrier (PVB) before laying the chosen floor covering. ECOFLOOR electric underfloor heating mats are made of a heating cable attached to a fibreglass mesh ..